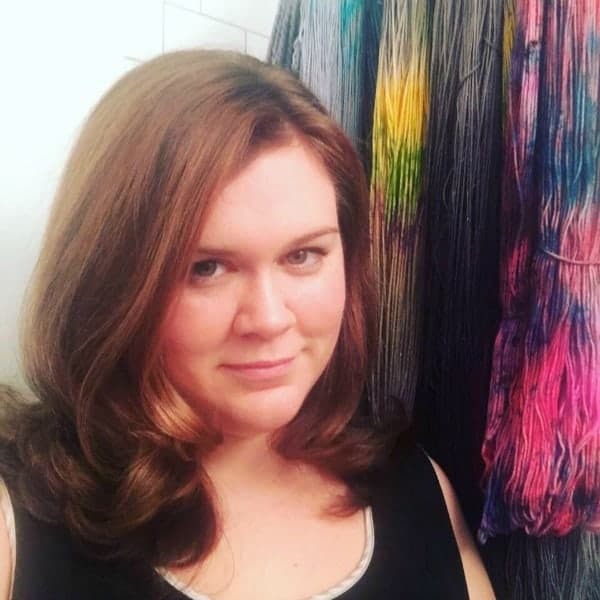 Last month, I got to introduce you to Asylum Fibers, a brand-new dyeing operation started by Stephanie Jones, who I met via the knitting group she organizes here in New York City. I wanted to know a little more behind her inspiration for this new craft biz and share her story. What made you decide to start your own dyeing business? I love dyeing so much, and I can’t possibly use all the yarn myself. It only made sense to put it out there and see what the community would think. 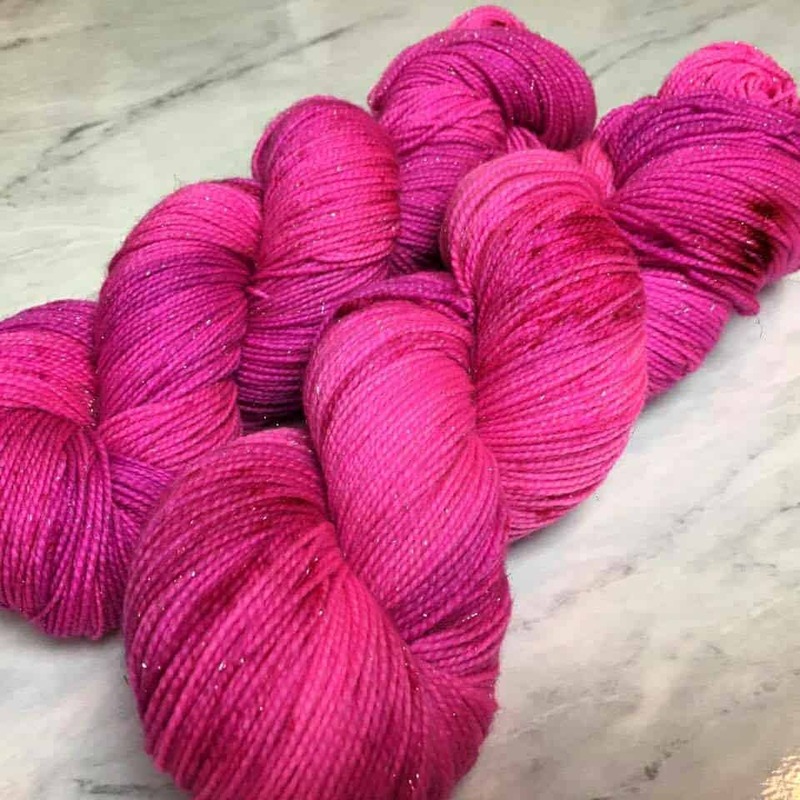 Every time someone purchases a skein, I feel justified in dyeing 5 more! I get so much joy seeing others knit with my yarn, and I really can’t think of anything quite like it! How do you go about creating your colorways? Do you plan your repeatables ahead of time and improvise with the Chaos colors? For the most part, my repeatable colorways have very specific inspiration. I have a word or phrase or idea that is translated into color within my mind. The next step is figuring out the recipe. Sometimes, the yarn comes out beautiful, but it’s not what I intended. In that case, we have a chaos colorway. I’ll let you in on a secret – Chaos 75 was my first attempt at Hydrotherapy. I absolutely loved it, but it was a lot greener than I wanted Hydrotherapy to be. Not all chaos colorways are failed attempts at a new recipe, though. Many are just for fun! I do use them for experimentation and find them to be extra special, since they’re essentially “limited edition”. Every chaos colorway is made up of no more than 5 skeins, so you know you have something special. This depends so much on my mood. Black and grey are essential, but I also gravitate to blue, green, purple, and pink. Some days I’m all about yellow, and sometimes orange makes me really happy. ALL OF THE COLORS! 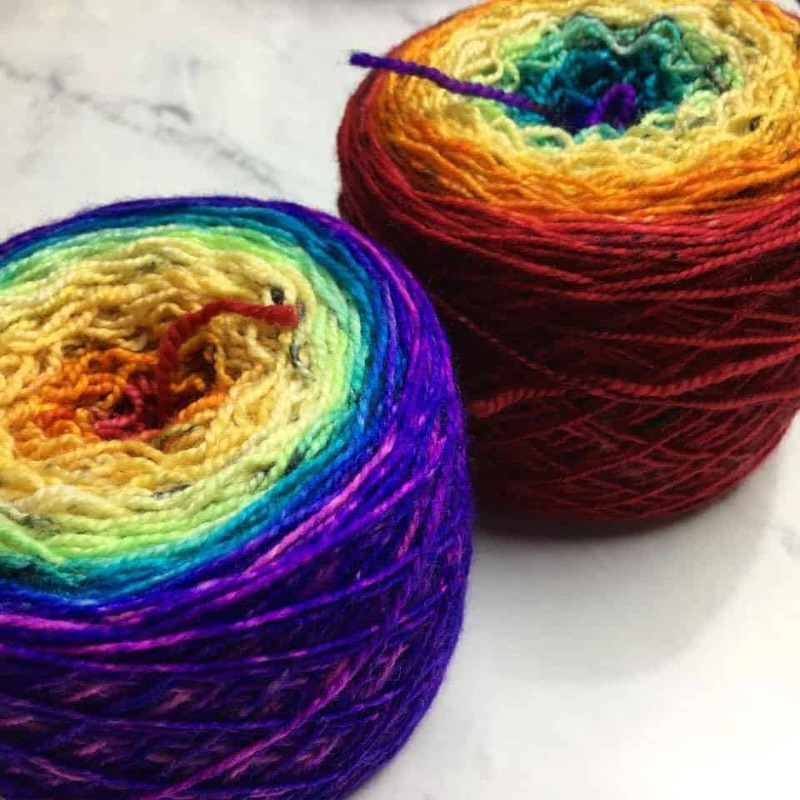 What projects are you currently working on with your yarn? Aside from a whole lot of swatching as I really settle on what bases I plan to keep long term, I have a couple projects going right now. I’m designing a two color brioche cowl in the round using Bedlam, my one ply super bulky base. I’m also doing a crochet along of the Movie Night Cocoon Cardi, using Errant Aran. I’m lucky to have some friends working on samples in my yarn as well. Anne is making a Waiting for Rain shawl using Golden Rule in Bad Bad Girl, while Devon is making a lace shawl using Lunacy Lace in a OOAK color I dyed special for her. Valerie is crocheting with Golden Age and Jenn has a skein of Bedlam Ombre that is soon to be a hat! I’ve seen some Instagram friends working with my yarn as well, which is so fun. 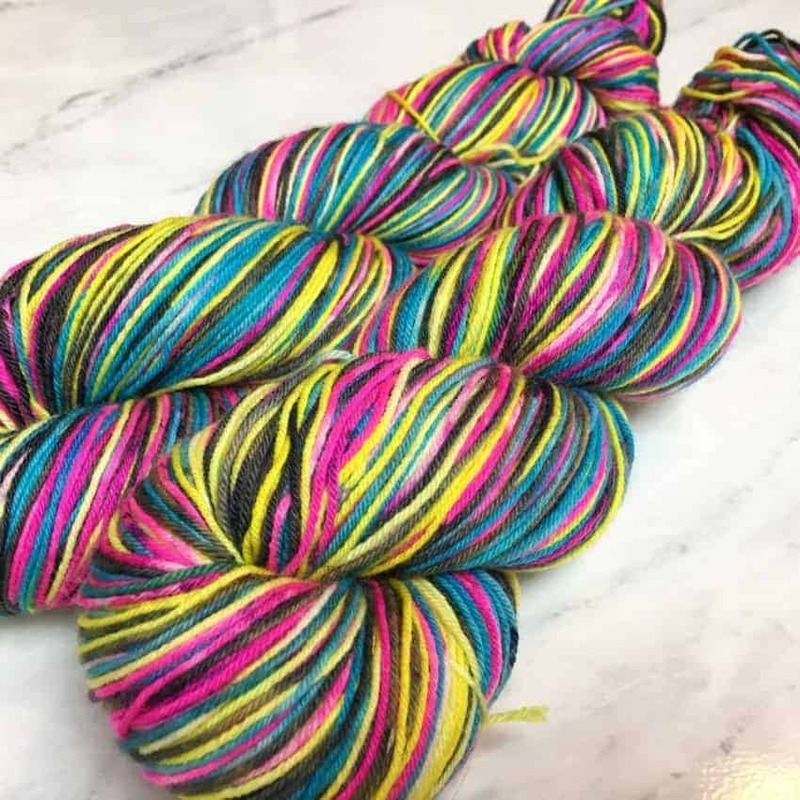 I finally have Asylum Fibers up (at least in the most basic form) on Ravelry so we can all share our stash and projects there. 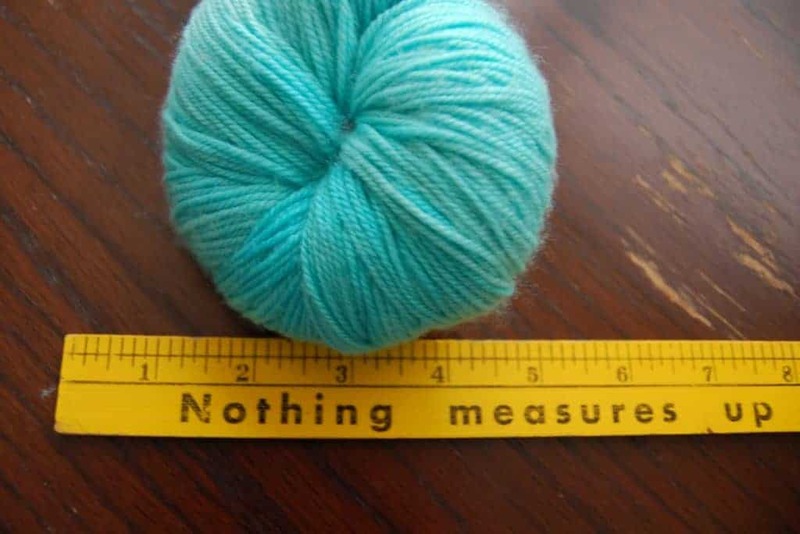 I learned at daycare when I was very young, but really started advancing in 2012 with the inspiration and motivation from other knitters in my Meetup group. When I ran into problems, I’d check Youtube for help. Since then, I’ve taken a ton of technique classes with great teachers including Lorilee Beltman, Steven Berg, Edie Eckman, Faina Goberstein, Franklin Habit, Amy Herzog, Felicia Lo, Nancy Marchant, Kristy McGowan, Alasdair Post-Quinn, Leslye Solomon, Debbie Stoller, and Stephen West. I made a pink cotton sweater for my grandmother for her 80th birthday. The pattern was Peasy by Heidi Kirrmaier and is available on Ravelry. I used Debbie Bliss Bella, which was soft and pretty, but since it didn’t have much stretch, it made my hands tire very quickly. 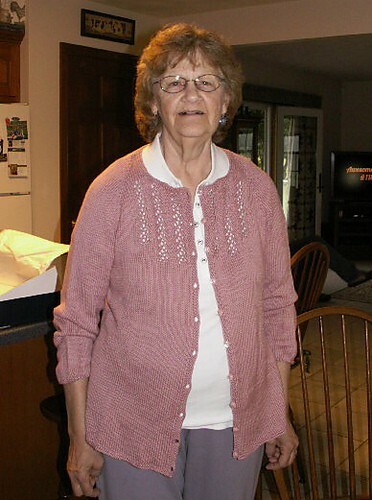 I’m glad I made this sweater, though, because my grandmother is extra knit-worthy and wears it all the time! Of course I do! Dyeing and knitting definitely dominate my craft time, but I also enjoy crochet, sewing, beadwork, painting, and scrapbooking. I’m planning to try soap making soon as well. Any future plans for Asylum Fibers you can share? I’d like to put together some fun blog posts discussing my color inspiration. I’m also planning to take my yarn on the road in the near future. Otherwise, keep an eye out for regular shop updates, and be sure to subscribe to my mailing list if you’d like reminders! This entry was posted in Q&A and tagged dyeing, indies, interview, knitting, OOAK, yarn.